Martha Jun 21 2018 3:17 pm Talented young actress! I think she was the star of " The Flu". I hope she continues to act. Alex Nov 04 2017 3:21 am A good actress. 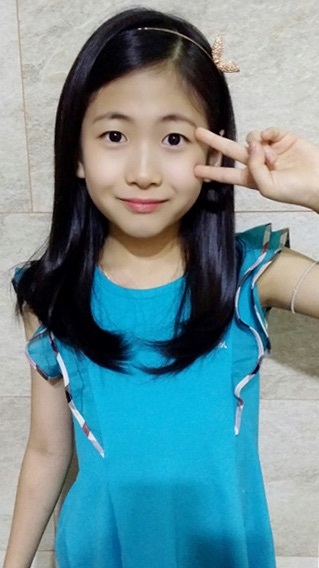 You will become the next Kim yoo jung. Shubha_indo Aug 03 2017 11:21 pm She is so cute in arang and magistrate.loved her shouting. She showed same way of shouting in Confidential assignment.... Long way to go enjoy the work and all the best for future. Sendy.A Oct 28 2016 7:08 am Nice Acting as Kim Mi Reu in film "The Flu" . leephao Oct 03 2016 8:03 pm Park Min Ha was great entire the full movie of The Flu, she's so wonderful and talented girl, she's pretty. Great well done Park Min Ha. julian salazar Aug 06 2016 11:44 pm It was one of the best movies I've seen in a really long time.it made me feel like I was there struggling throughout movie along with citizens. iloveasianslol Apr 27 2016 7:30 pm Just finished watching THE FLU, and wow this little girl did a wonderful job acting in that amazing film!!! Ashley May 02 2015 12:05 am Was on Netflix and came across Flu. Park Min-Ha was great throughout the entire film. I loved her boldness and tenderness in her role. I loved that last scene with her protecting her mother by the orange line. It was so heartfelt and touching. She is an amazing actor! Worsh Ipnogod Apr 17 2014 10:39 pm I watched Gamgi, and was absolutely stunned by the talent of Park Min-Ha! Apart from being absolutely adorable, cute and funny, she acted the whole range of emotions 100% believeably, from playful girl with mom to desperate lost child and everything in between. Healthy suspicious of strangers, but with warm heart to help strangers, loyal but at the same time very stubborn and strong-willed. All this and more in catastrophy film and once I started watching, the movie engaged me to the end and me the violent, unfeeling, cold hard man found myself hoping I could go to the film and help the girl, I felt for her when in trouble and wished she´d manage. Incredible performance and acting from six year old girl, she made my heart bleed... Okay, I have a soft spot for kids in trouble, but still, amazing! Patty Aug 18 2013 9:23 pm Just saw her in the movie FLU and she was amazing!!! The movie is also a MUST WATCH!! Vikkk Jun 04 2013 3:44 am Omg, i just found out she is/was dating Mason Moon!!! Haha...such cuties!